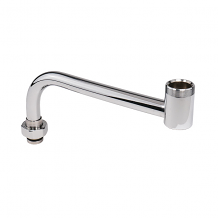 Fisher Manufacturing is a top manufacturer of commercial faucets. Equiparts carries swing spouts for Fisher faucets. Call 1-800-442-6622 for additional spout options.